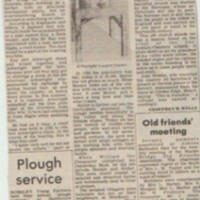 Original newspaper cutting with title "Mellor was bigger than Marple in the Conqueror's Day" by G.H Wells from 1980. 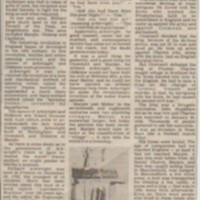 History of the Mellor and Marple area from 1066. 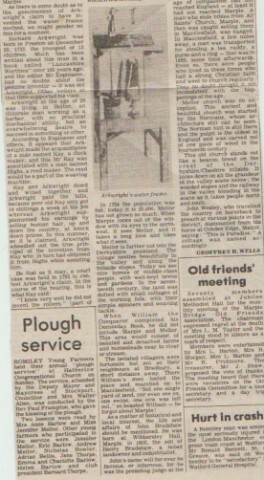 “Newspaper Article : "Mellor was bigger that Marple in the Conquerors's Day" 1980,” Marple Local History Society Archives, accessed April 22, 2019, https://www.marplelocalhistorysociety.org.uk/archives/items/show/2489.